7 Cool Gadgets from CES 2018 We Need ASAP! Consumer Electronics Show is one of the biggest electronics trade fair shows that is held in the city of sin every year. Here all types of electronics companies big and small introduce their upcoming slate of products. Below is a list of all the diamonds found in the show. This cool gadget is every gamer’s dream. Razor has come up with a smartphone that doubles up as a laptop. The smartphone fits into space that is filled by the touchpad on a laptop body, then connects to the monitor, keyboard, and hard drive via USB-C. This gadget tests the waters for a merger between the desktop and mobile computing devices. Project Linda repurposes the phone’s screen as a touchpad, which can also passively display information. No, it won’t help you in getting more sleep. But, it will surely help you in getting deep quality sleep. The device transmits a sound apparently develops slow-wave sleep. It is a stage of sleep cycle at which brain waves and breathing are at their lowest levels. According to its makers, such kind of sleep can further increase attentiveness and the ability to keep focus. 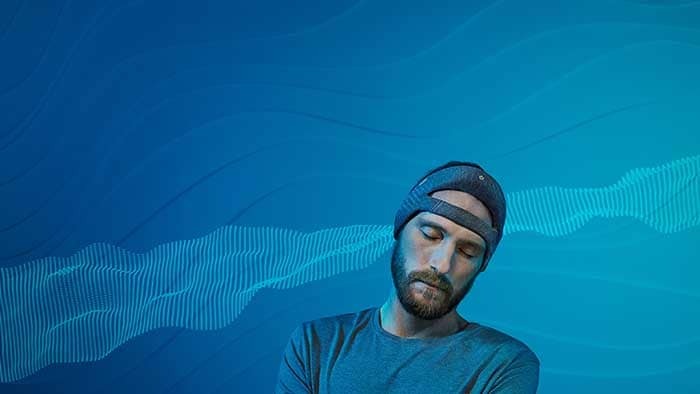 Two sensors on the headband identify when you fall asleep and can identify when you enter deep sleep. Then, an algorithm customizes the amount and level of the sound being transmitted in a way that will heighten slow wave activity in the brain. One of the tiniest gadgets, it is a sensor which is able to detect ultraviolet exposure. It is so tiny that you can wear it comfortably on your fingernail like a nail art. The great thing is, it is battery-free and has an NFC antenna, a temperature sensor, and a UV sensor. It can store up to three months worth of information and transfers information to the accompanying app. The app keeps a record of the exposure levels and provides tips for handling sun intake. This cute looking duck is specially designed to provide comfort to children diagnosed with cancer. Children can imitate their medical care routines on it and can communicate their feelings through it by pressing a circular token to its chest which indicates it to assume the corresponding emotion. Holding a token with a smiling happy face or a frowning angry face to the duck, for instance, will allow it to react accordingly. This gadget is supposed to provide company to kids as they undergo treatment and therapy. A must-have for those who suffer from allergies. This football-shaped allergen detector tracks grass, mould, pollen and dust inside your space so it can alert users that their allergies could act up. In case the user goes out, the Air’s corresponding app joins with 220 sensors placed all around the world by Sensio to measure environmental conditions like pollution and weather. It is literally a painkiller for those people who suffer from chronic pain. This Pulse Electromagnetic Field (PEMF) device is created to boost blood flow to affected areas of the body. 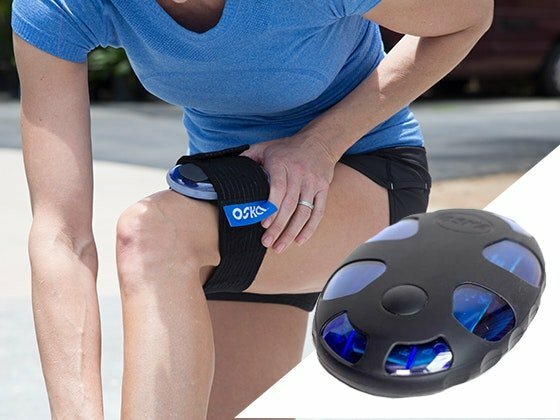 The company claims that the gadget relaxes muscle stiffness and briefly relieves minor pain. It works with an app so users can manage the device remotely or track the pain relief progress. Probably, the most fun gadget on the list. ModoBag is a piece of luggage which can charge your devices through its USB ports and it also has a small hidden handlebar and stirrups which transform it into a miniature electric motorbike which you can use to zip around up to a speed of 8 mph. No more dragging of luggage instead let the luggage drive you around. There is little that technology can’t do at CES and with such innovative products around the corner, the future of mankind looks exciting. Imagination is the real thing they say, makes you who you always wanted to be, and that brought me to the question, how about becoming the most intelligent detective the world has ever seen! Sherlock Holmes. Sherlock’s world is where everything happens following an order! Every situation has a set of definite outcomes. It assumes that the people’s habits or activities are absolutely perfect and Sherlock is the unsolicited King. In reality, we have problems in choosing Pizza over Burger. In Sherlock’s world, we are constantly reminded of the fact that he is a high functioning Sociopath who doesn’t really care about human emotion, is far away from its clutches and likes to live life dangerously duping himself in drugs as if they were candies. Trust me when I say this, we would die, yes die even if we consider taking in that much drugs out of shock, leave alone doing it. Sherlock Holmes in Steven Moffat and Mark Gatiss’ Sherlock at times seems to be a genuinely nasty bloke going head over heels going to a point where he is seen telling children that their grandfather is rotting in the ground, and even being dismissively rude towards Russell Tovey’s potential client, for instance. Him telling Kitty Reilly, the journalist in The Reichenbach Fall, that “you repel me” was more than a little over the top. (Well, She was selfish, ambitious and a little manipulative, but she repels him? A man who deals with criminals more or less every day?) . Just consider telling that to a person on his/her face and see the world burn. Then again, comes the point where Sherlock is seen to be almost perfect at whatever he does and so does Moriarty, his nemesis, but really? In his infamous “Reichenbach fall” you want me to believe that you can fall off a building and then fly like a bird off to glory, that’s some fantasy ‘shizz’ going on there. Oh Oh Oh!! how can I not talk about The Mind Palace when I talk about Sherlock, that’s one thing which has perplexed everyone with it aura on how clear can one’s vision and thoughts be, let me break it to you, no matter how cool it may sound, it’s next to impossible to get such a high dedicated sense of mind mapping. I know this article is going to bring me in the bad books of all Sherlock fans and they might have even listed down various ways where I would end not in a condition I would like to be in, but then again, Anonymity is Bae and I am loving it. So I would want to end this saying Boo Yeah !! Even as the 2 stalwarts debated on the issue of AI, a month later, Facebook had to shut down a part of its AI program. Why? Because the bots started developing their own language! Suckers of the popular movie Terminator went berzerk with their comparisons of this incident with the Skynet AI portrayed in the movie. To be perfectly honest, robots doing their own thing… does sound pretty spooky doesn’t it? Well, the end had to come some day… #PrayForYourSinsMortals! » Rahul Gandhi goes for AI conference, gets trolled royally! At the much-celebrated 10th year anniversary of the Iphone, Apple made one small step that may one day prove to be the giant leap for mankind. Unveiling the new, much-hyped Iphone X, Apple made a foray into AI, by instilling in its A11 bionic chip a form of neural AI that can accurately scan and recognize human faces, without the need of a cloud-based system or internet! Although the technology is still in its nascent stages, Apple has once again set the benchmark when it comes to innovation. With competition growing by the day, expect more research and development in this field in the upcoming years. The ultimate winners? The consumers! At the fag end of the year, scientists managed to breakthrough in what might be one of the biggest life-saving technologies on earth! While it has been a centuries-long attempt by mankind to predict catastrophes and take precautionary measures, the efforts just got a major shot in the arm by AI, which managed to identify and pick-up seismic signals long before an earthquake was about to occur. Seeing as these signals had never been recognized before by existing technologies, scientists naturally are drooling at the prospect of finally having achieved the Holy Grail of modern geology! Can You put on Weight by Smelling Food ? Yes. say scientists. In a recently published paper, scientists from the University of California, Berkeley, claim that you can put on weight by smelling the aroma of food. obese mice who lost their sense of smell also lost weight. In addition, mice with a boosted sense of smell — super-smellers — got even fatter on a high-fat diet than did mice with normal smell. What Connects Frogs and Dinosaurs ? About 65 million years ago, it is believed that a really large asteroid struck earth. The asteroid — measuring about 10 kms wide, hit earth, created a massive crater (a really, really, really, wide and deep pothole), and threw debris — dust and stone into the atmosphere. The sun was practically blocked out, leading to a massive climate change, and the death of over 75% of all the species on earth — including the dinosaurs. As per current evidence, dinosaurs had been around for about 230 million years, before they became extinct. While frogs as a species, evolved some 200 million years ago, it is only when the dinosaurs went extinct, could they really multiply. This is the evidence found by a new study, which was authored by scientists working in the area of amphibians (animals that can live on both land and water), and reptiles (snakes, lizards, dinos and the rest). The researchers used fossil records to find out about how the world changed after that massive explosion. Can another asteroid strike earth ? scientists believe it can, in the not so distant future. And, this is one of the reasons why people like Elon Musk are trying to find human beings another planet (as a back up plan). It is expected, that in 2029, an asteroid called Apophis, will come very close to earth. Will it hit us, we don’t know. How Long Can We Live ? As nutrition, health, improves, and poverty declines, people are going to live even longer. We all know more than one person over 90 years of age — and fighting fit. So how long will we live? a) Learn Saving — As we live longer, we have to earn more to save for an older age. This means you have to start now. Everytime you want to spend, ask yourself one question “will I have enough money later?”. Later could be next month, later could be a 100 years from now. b) Learn skills — you need to learn skills that keep you relevant and employed through your life. Start now, when at college. c) Pick up a hobby — You need a hobby to keep yourself happy 🙂 life is more than study, work, and hanging out. You have to also nurture your innate talent. Photography, pottery, reading, all of these are great hobbies. And, most hobbies cost very less to develop. d) Think about jobs of the future. Research, and find out what is going on, and plan to study more to be ready for those jobs.